The Silk Road was a network rather than a specific route. 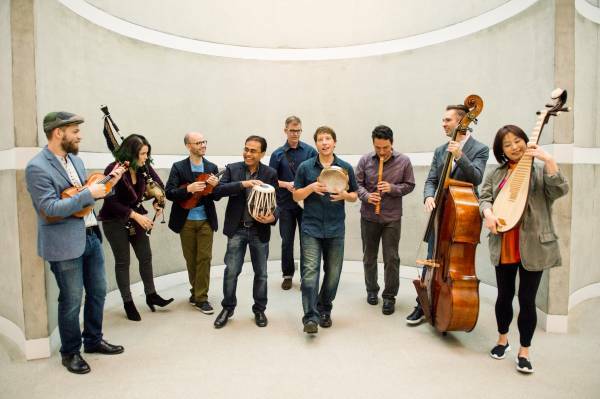 In this regard Silkroad Ensemble is well-named, with its variable personnel and repertoire bridging the musical divide between East and West. But whereas trade was the ancient network’s obvious purpose, here the music sometimes seemed lost in a labyrinth of worthy cross-culturalism. The term world music, for all its convenience, was always mired in colonialist inferences. Just as dodgy has been the tendency for musicians with half a grasp of a musical idiom to filch whatever suited their ends, without understanding deeper cultural implications. The upshot? The musical equivalent of chocolate assortments: lucky-dip mishmashes in which any idiom can be blended with another if the players are brazen enough. Don’t get me wrong: sublime music has resulted from such amalgamations and collaborations, although the odds are against it. Diluted, insipid combinations of idioms are more common. Such musical anaemia was evident here, despite the stunning calibre of musicianship, so that swathes of the concert felt like lip-service being paid to great traditions, but without the blood and tears that made those traditions thrive. So much seemed watered down. The playful interaction between Spain’s Cristina Pato Lorenzo (Galician bagpipes) and China’s Wu Tong (suona) in the opening Fanfare, for example, seemed stagy and exaggerated, setting the tone for what often was a glossy, Disney version of serious music. Yet the exceptions proved how brilliant this band could be, given a clearer understanding of its intent. Three pieces from John Zorn’s Book of Angels were riveting, replete with swooning Hebrew-influenced melodies and gorgeous textures, including a duet between the brilliant Sandeep Das’ tablas and Mike Block’s cello. Here was music that few ensembles could play better, even if it was performed without the throat-gripping compulsion of Zorn’s originals. The band’s lingua franca is improvisation, and this nine-piece incarnation (without founder Yo-Yo Ma) contained no shortage of accomplished soloists, but they traded musical goods without setting a high enough price on them.